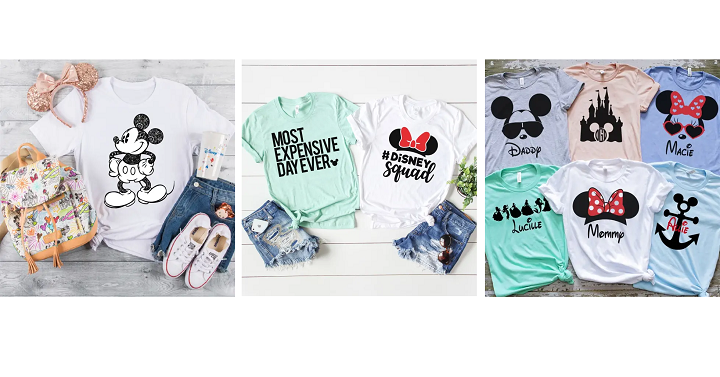 From cute Mickey designs to funny sayings you’ll find these adorable Disney shirts starting at only $12.99 on Jane! The whole family can have matching tees for the day or get something unique and creative for each person! Shipping will change for each individual item so make sure you read the fine print.